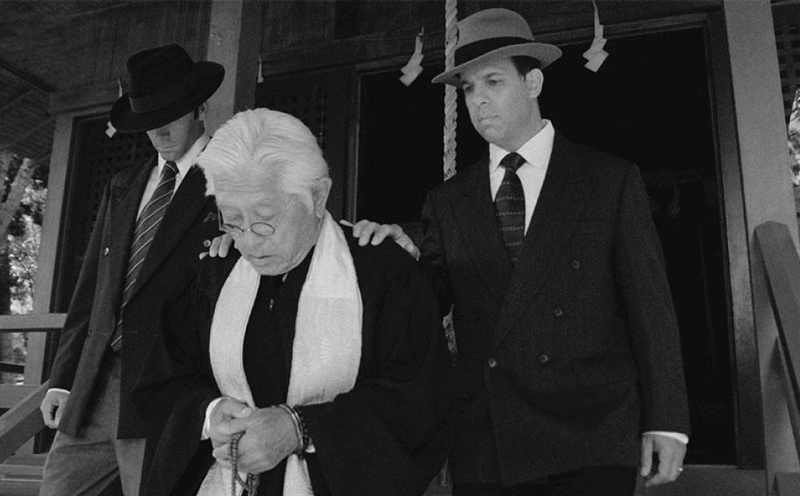 “The Untold Story: Internment of Japanese Americans in Hawaii” will be screened on Saturday, Oct. 26, at 2 p.m. at the Japanese American National Museum in Little Tokyo and Sunday, Oct. 27, at 1 p.m. and Monday, Oct. 28, at 11 a.m. at the Manzanar National Historic Site Visitor Center. Within 48 hours of Japan’s attack on Pearl Harbor, Hawaii authorities arrested several hundred local Japanese in Oahu, Maui, Hawaii and Kauai. They were Buddhist priests, Japanese language school officials, newspaper editors, business and community leaders. Within a few months over 1,800 men and women of Japanese ancestry were arrested, detained and incarcerated in Hawaii and later sent to the Department of Justice and War Relocation Authority (WRA) camps on the continental U.S. There was no evidence of espionage or sabotage and no charges were ever filed against them. While the story of the mass internment of Japanese Americans in California, Oregon and Washington has been well documented, very little is known about the Hawaii internees and the confinement sites located in Hawaii. Directed by Ryan Kawamoto, this is the first full-length documentary to chronicle this untold story in Hawaii’s history. Staff from the Japanese Cultural Center of Hawaii, which produced the film, will lead a short discussion and answer questions after each screening. JANM is located at 100 N. Central Ave. (at First Street), Los Angeles. Info: (213) 625-0414, www.janm.org. Manzanar is located on the west side of U.S. Highway 395, 9 miles north of Lone Pine and 6 miles south of Independence. Info: (760) 878-2194, ext. 3310, www.nps.gov/manz. For more information on the Japanese Cultural Center of Hawaii, call (808) 945-7633 or visit www.jcch.com.